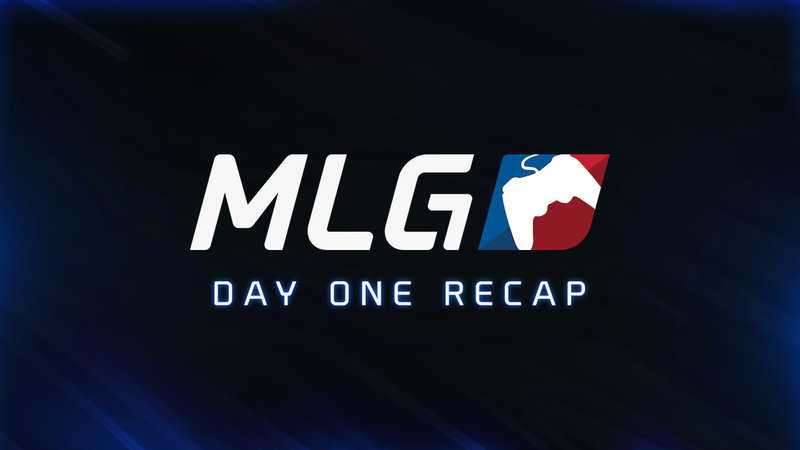 A Detailed Recap of matches played on stream during Day 1. Day 1 consisted of upsets and surprises that resulted in a very interesting start to the streamed Pool Play matchups late Friday night. Retreat – Hardpoint: Off the break, both teams were very balanced but Team Kaliber gained the upper hand with five minutes remaining in the game. Team Kaliber was able to outslay OpTic Gaming when they needed it most gaining a huge point advantage closing the game out up 218-164 and taking round one in the series. Solar – Search and Destroy: OpTic started out extremely strong gaining a four round lead against their opponents. Team Kaliber began to trade kills consecutively and make a comeback to win the game 6-4 winning six rounds in a row. This allowed Team Kaliber to go up 2-0 in the series. Bio Lab – Capture the Flag: Off the start Team Kaliber was able to get three of OpTic’s players down immediately, but failed to make a capture of it. Team Kaliber was able to make multiple grabs but no captures. OpTic lead 1-0 going into the second half outslaying tK. Pulls were made left and right as both teams fought out a close half. OpTic Gaming was finally able to to take the map up 2-1, now 1-2 in the series. Bio Lab – Uplink: Within the first half, both teams were battling it out very evenly, until Ian “Crimsix” Porter was able to score a throw within the final five seconds giving OpTic a 1-0 lead going into the second half. OpTic was able to get two more points winning the map 3-0 and tying the series 2-2, forcing a game five. Recovery – Search and Destroy: Team Kaliber was able to outslay their opponents going up 5-1 in the series before OpTic Gaming got a second round. OpTic Gaming was able to win two more rounds before getting shut down and losing an intense match 6-4 and and the series 2-3. Retreat – Hardpoint: The first game of the series was a thrilling one that went down to the wire. Aware Gaming managed to pull it out in the last few seconds to win the game 207-205 and take a 1-0 lead in the series. Solar – Search and Destroy: In an absolute shocker, Aware came out and looked completely dominant by winning six straight rounds to take Game 2. They took a quick 2-0 lead on one of the strongest teams in the game. Bio Lab – Capture the Flag: Team EnVyUs looked to rebound after dropping the first two maps. They took a slight 2-1 lead going into the second side of CTF. They managed to hold off the aggressive Aware squad to win the game 3-2 and cut the series lead to 2-1 in favor of Aware. Bio Lab – Uplink: In a very closely contested matchup, Team EnVyUs managed to take a 1-0 lead going into the second side. They closed it out and won the game 6-2 and forced a Game 5 to decide the series. Recovery – Search and Destroy: After taking the first two maps, Aware needed to give it one last push to take the series. They came out and played very well to win the game 6-2 and the series 3-2. Aware joined Team Kaliber by making the first two matchups of the tournament shocking upsets. Solar – Hardpoint: JusTus came out of the gates looking extremely strong, carrying over their recent online success. They absolutely dominated OpTic Nation on Game 1 by a score of 250-112. Bio Lab – Search and Destroy: JusTus continued to play very well and came out strong in Game 2. They went on to win the game 6-4 and took a 2-0 series lead. Retreat – Capture the Flag: OpTic Nation played better in Game 3, but JusTus held a slim 2-1 lead going into the second side. Neither team scored a point in the second side and JusTus held on to win the game 2-1 and swept the series 3-0. Retreat – Hardpoint: FaZe came out of the gates and played very well, winning the game by a wide margin of 250-144. They took the momentum going into Game 2 and looked to make quick work of LS in S&D. Terrace – Search and Destroy: FaZe goes huge in the slaying department throughout the entire game. FaZe’s successful rounds were mainly due to the fact, that they got first blood multiple times. They give no leverage to CLS as they take the round flawlessly 6-0, going up 2-0 in the series. Bio Lab – Capture the Flag: FaZe start off the game hot with Doug “Censor” Martin starting off 8-0 along with the team going up 4-0 in the first half. CLS just seemed to struggle in the slaying department. FaZe just kept outslaying their opponents and held them back for the majority of the game winning the map 5-0, and taking a 3-0 series sweep. Solar – Hardpoint: Prophecy was able to take the lead first, almost doubling OpTic’s score until Crimsix started going on a killing spree that helped OpTic regain map control. The game comes to a midway standstill as Prophecy lead with a close 112-102. Prophecy continued to hold map control and took the map 224-189. Bio Lab – Search and Destroy: OpTic started out strong, getting three down and forcing Chris “Parasite” Duarte in a 1v2, which he does not end up winning giving OpTic the 1-0 advantage. OpTic began to gain a 3-1 lead until Prophecy started to come back. OpTic Gaming held their lead and won the game 6-4, tying the series 1-1. Retreat – Capture the Flag: Both teams started out by grabbing each others flags, but nothing became of it. OpTic Gaming was able to get multiple kills in a row and capitalized by getting two captures within the final minutes. OpTic won this map 3-1, putting them up in the series 2-1. Comeback – Uplink: Two minutes into the game, OpTic quickly got two points on the board. Richard “Ricky” Stacy quickly ties the game up 2-2 for Prophecy. OpTic Gaming quickly gained a 6-4 lead at the first half. OpTic continued to build their momentum and held their lead to win the map 16-6 vs. Prophecy, taking the series 3-1. Solar – Hardpoint: Strictly Business was able to grab important points off of EnVy’s rotations, gaining a sufficient 30 point lead against them. sB was able to win gunfights on hills during crucial moments, giving them a 199-190 win, and Game 1 in the series. Bio Lab – Search and Destroy: Phillip “PHiZZURP” Klemenov started out 3-0 in the first round giving sB the 1-0 advantage. The rest of the match goes toe-to-toe as both teams win each round back and forth until sB finally won the game closely 6-5, giving them a 2-0 lead in the series. Retreat – Capture the Flag: Both teams traded captures back and forth within the first half, starting off in sB’s advantage. James “Clayster” Eubanks went huge for nV as he gets them their much needed kills and capture. The first half ends up tied 2-2. The second half started out slowly until sB got a capture. But, nV counter captured, forcing the game into overtime. nV scored within 1:12 not giving sB the needed amount of time. nV win 4-3, down 1-2 in the series. Comeback – Uplink: The first half started out very balanced, as both teams ended up tied 6-6 by the end. It was 8-6 in sB’s favor until nV rally and gained a 12-8 lead. nV scored two more points to close the game out and force a deciding game five. Detroit – Search and Destroy: nV gained a quick 4-1 lead against sB in the first five rounds. sB regained their composure and end up tying the map up 4-4 by winning three consecutive rounds. Another two rounds were traded and the two teams found themselves in a Game 5, Round 11 situation. nV got three of sB’s players down quickly to take the advantage and win the game 6-5, and took the series 3-2. Retreat – Hardpoint: Both teams started out aggressive, fighting to contest the hill, but FaZe took the early advantage. With seven minutes left in the game, FaZe lead by 10 points 58-48. Denial slowly made a comeback and ended up winning the game closely 197-193, going up one round in the series. Solar – Search and Destroy: Denial gained a quick 3-1 lead and continued to make great plays throughout the remainder of the match. Denial went on to win the map 6-1, going up in the series 2-0. Bio Lab – Capture the Flag: Renato “Saints” Forza started off the game going 5-0 for Denial, but the match remained tied 0-0 with three minutes remaining in the first half. FaZe was able to grab two caps ending the first half up 2-0. Denial started off aggressive and quickly took the lead to win the game 3-2. Denial swept FaZe with a 3-0 win. Retreat – Hardpoint: JusTus took the lead after the first two hills. Rise was able to retake the lead, only to lose it again as JusTus gained a 10 point lead from the forth hill. The match continued to go back and forth until JusTus was able to milk the last remaining hills to win the game 201-176, and take game one in the series. Solar – Search and Destroy: Rise started the game with a 3-1 lead against JusTus, but the score was eventually tied 3-3. Rounds continued to go back and forth as Rise lead 5-4 going into the tenth round. Steven “Diabolic” Rivero clutched an insane 1v3 to take the map 6-4 and to tie the series 1-1. Bio Lab – Capture the Flag: Both teams started very strong, trading multiple, but JusTus was able to gain the 1-0 early lead against Rise. JusTus finished the first half with a 3-1 lead. Rise was able to get a cap leading into the second half down 2-3, but JusTus was able to hold Rise off for the remainder of the match, going up in the series 2-1. Bio Lab – Uplink: Rise started the game off with lots of momentum, gaining a 4-1 lead. Enable was able to go on a six killstreak going 19-8 to help his team fend off Rise. Enable continued to assist his team as he was able to slide in a two point cap to tie the game 5-5, and then throw in the the game winning point. JusTus won the series 3-1 vs. Rise Nation. There were also several matches played off stream that we did not get a chance to watch. However, here is an overall view of the Pool Play results from Day One. This concludes MLG Columbus’ Day One Recap. Let us know how you feel about today’s results.